This year, Hoover Middle School is starting a Student of the Month award. 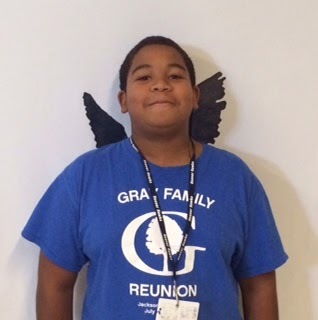 The first student of the month is an eighth-grader Linn Jackson Jr. He was chosen by his teachers for his hard work, willingness to help others, and his perfect attendance during the month of September. This is the second year that Fifth Third Bank has donated 40 new winter coats with hats and gloves to Myers Elementary School students. Three volunteers from the company visited Myers today and passed out coats to students. 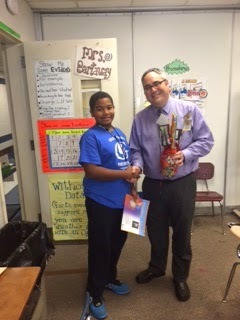 Each student received a bag that included a letter from the bank as well. The students were very happy and thankful and loved trying on there new coats. The school truly appreciates Fifth Third Bank helping to keep students warm this winter. 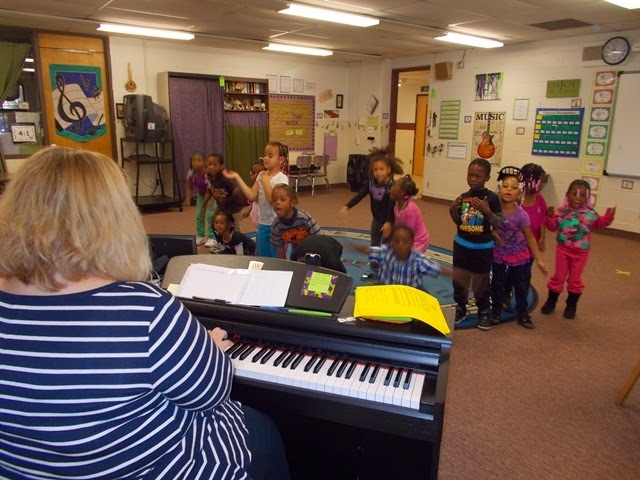 Thank you Fifth Third Bank, Myers is very grateful! 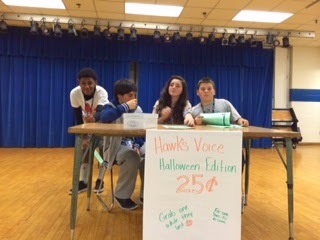 HOOVER MIDDLE SCHOOL: Hawk's Voice staff is hard are work! 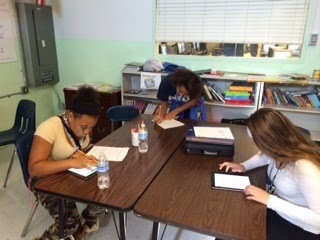 Here are some photos of the Hoover Middle School Hawk's Voice student newspaper hard at work! The above fifth graders were nominated by their fourth and fifth grade teachers to be inducted into this prestigious club. They were chosen because they have demonstrated outstanding academic achievement, exemplified worthy character, and have maintained a commendable attitude. They will represent Randall Elementary for the rest of the school year by partaking in community service based programs. In the past, the Jr. Beta Club has organized and donated money and items to the American Heart Association, Ronald McDonald House, UNICEF, and the Fur Angels, to name just a few. The BETA Club Sponsors, Mrs. Murray, Mrs. Szwed, Mrs. Jonassen, Ms. Winchester and Mr. Hojnicki are proud of the members and look forward to another successful year. Therapy Dogs visited Ms. 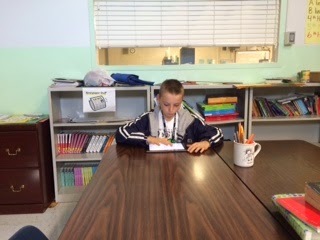 Brewer's classroom at the Sixth Grade Academy. 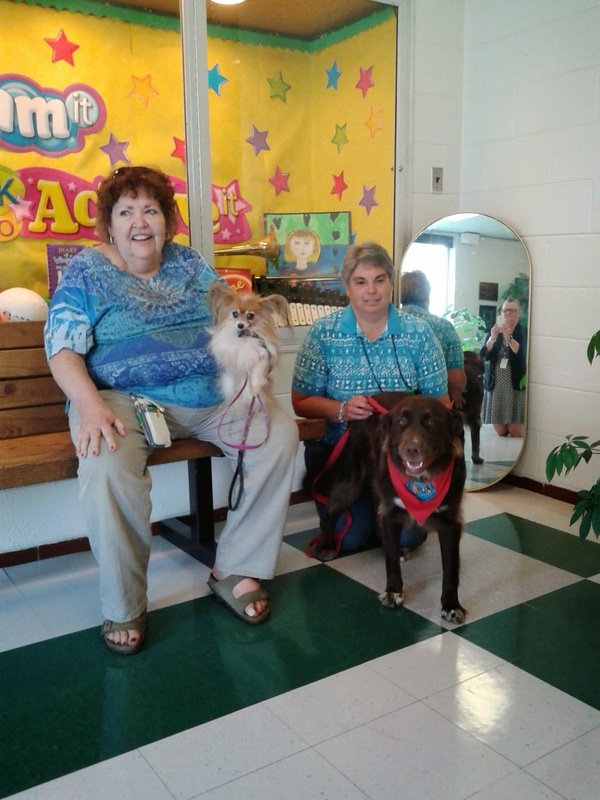 Each Wednesday therapy dogs owned by two retired teachers visit Ms. 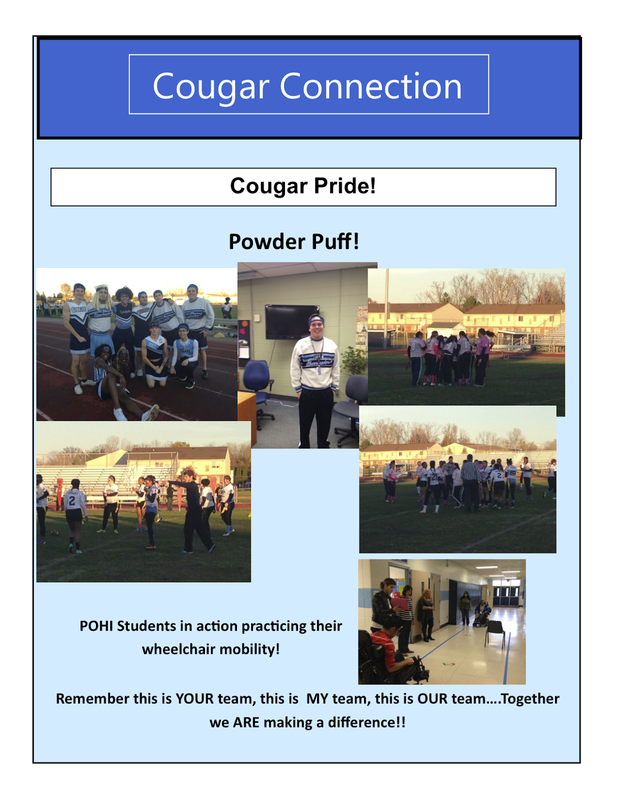 Brewer's POHI/CI classroom. The dogs, whose names are Lexie (owned by Kathy Kurginski) and Natalie (owned by Sharon Hamilton), are in the classroom for 25 minutes. 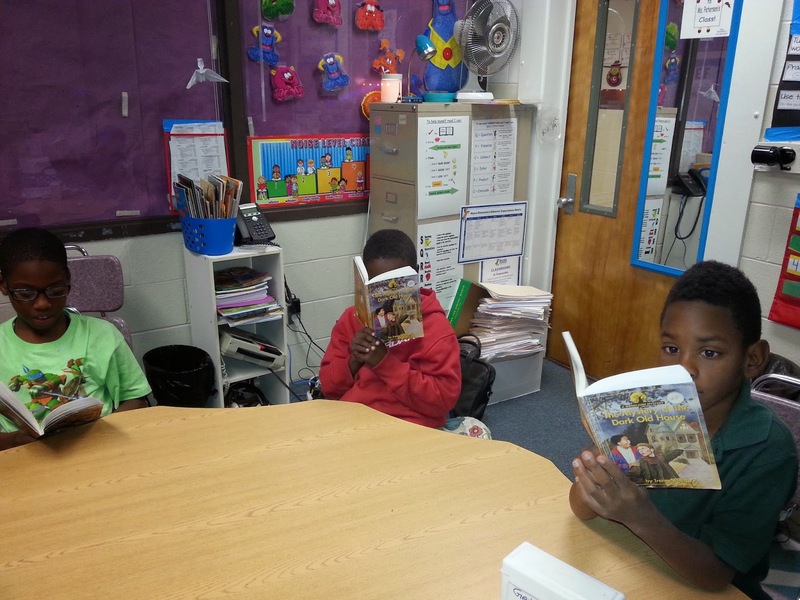 The students are able to read to the dogs. Before the dogs leave they will do tricks for the students, and that makes the dogs visit even more fun. 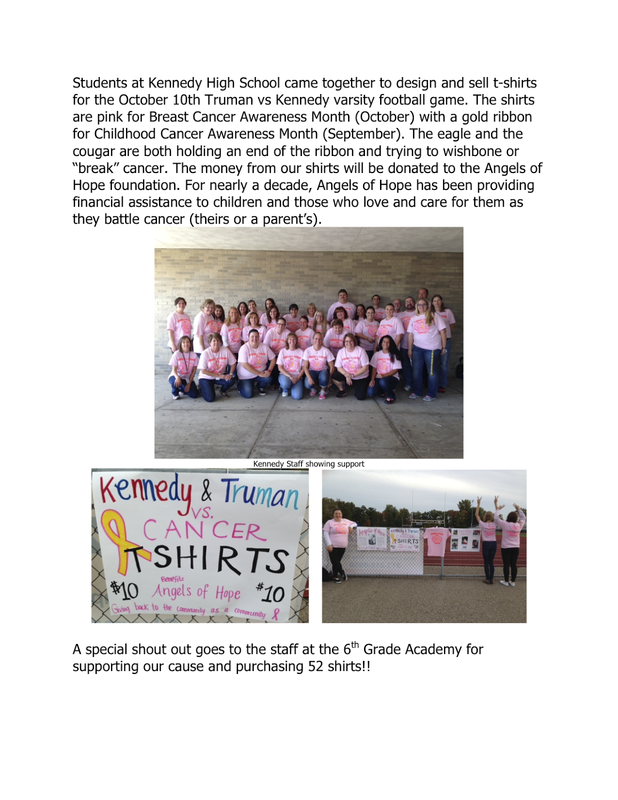 KENNEDY HIGH SCHOOL: Color 'em pink! 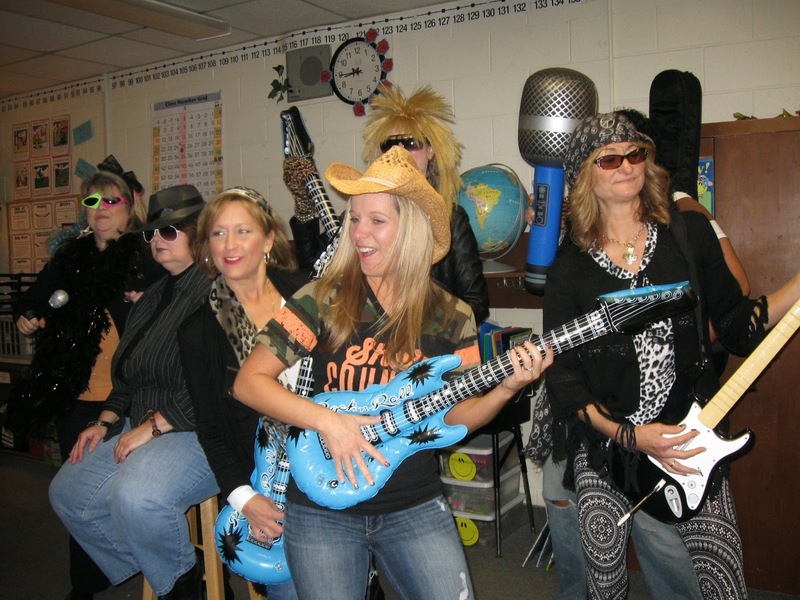 MYERS ELEMENTARY SCHOOL: Taking a look in the mirror! 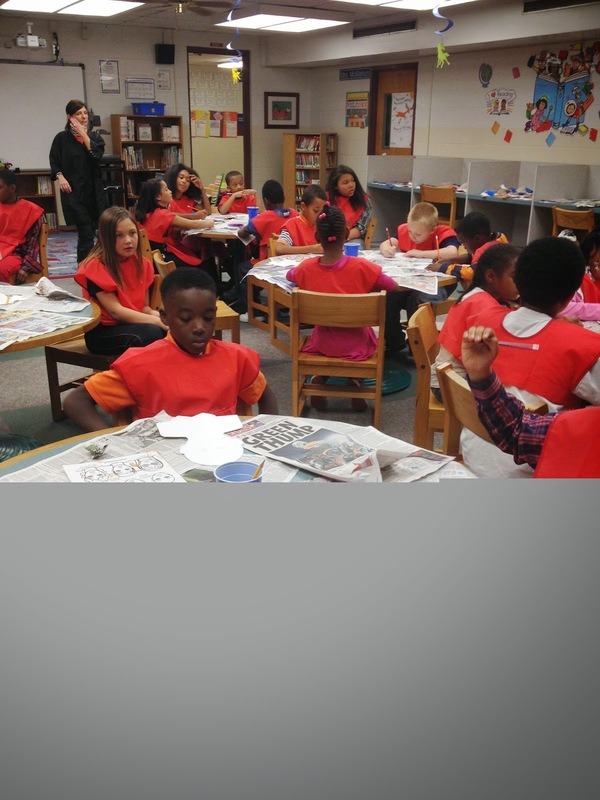 Mrs. Elkjar's Myers Elementary School fourth-grade class enjoyed their first art lesson this week. The lesson focused on learning about Vincent Van Gogh and his self-portraits. Students were able to begin their own self-portrait by adding symmetrical facial features. 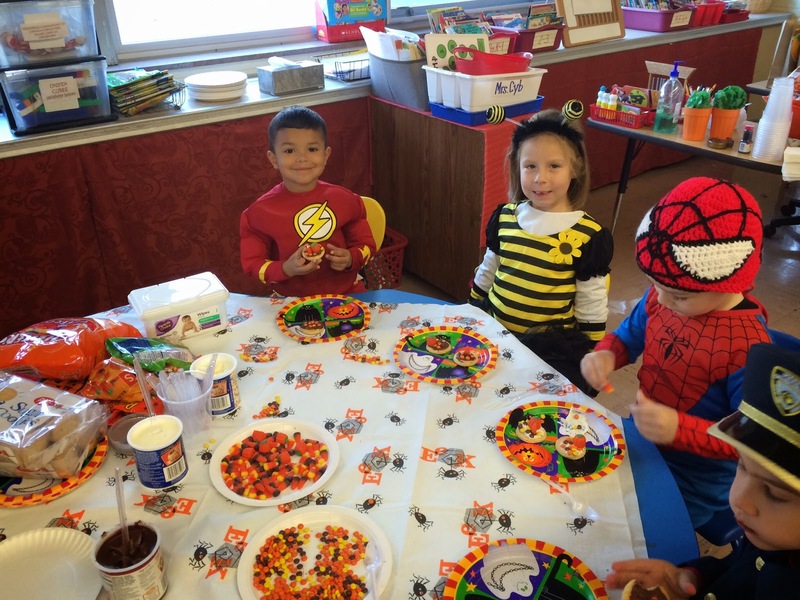 They wrapped up their lesson with painting their skin tone. 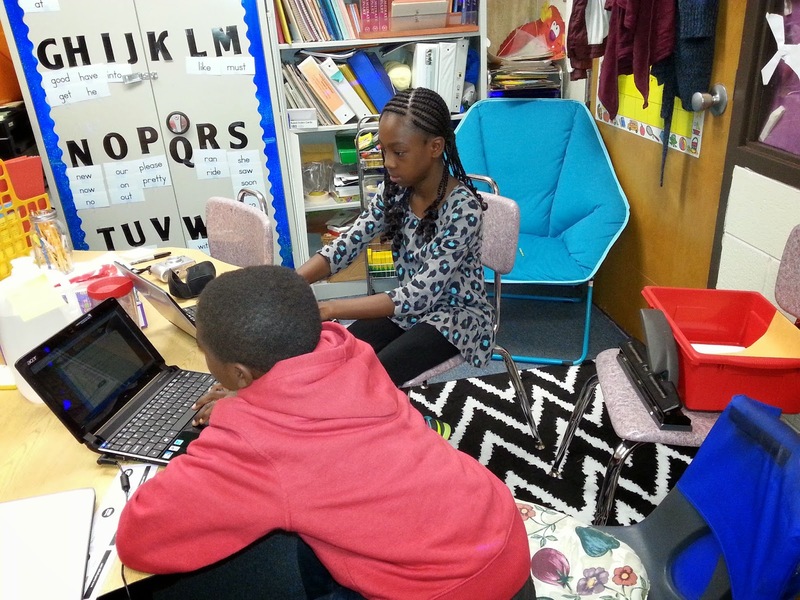 Students in Ms. Petersen's Myers Elementary School Resource Room are using technology to make learning fun. 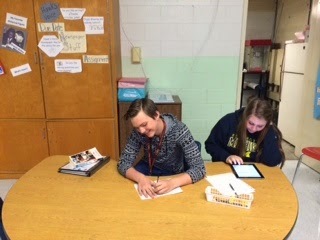 Students have usernames and passwords for various educational sites so that they have access both at school and at home. 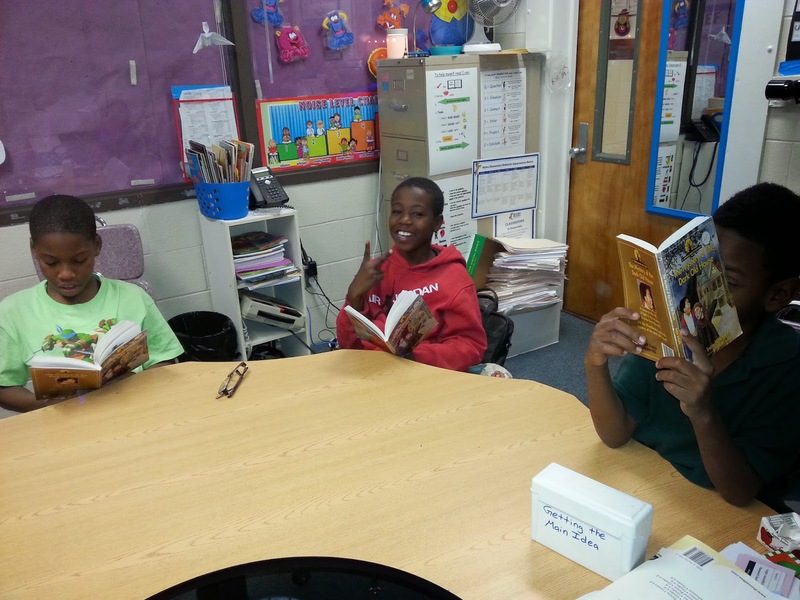 The students are rapidly moving up in reading levels and are becoming veracious readers! 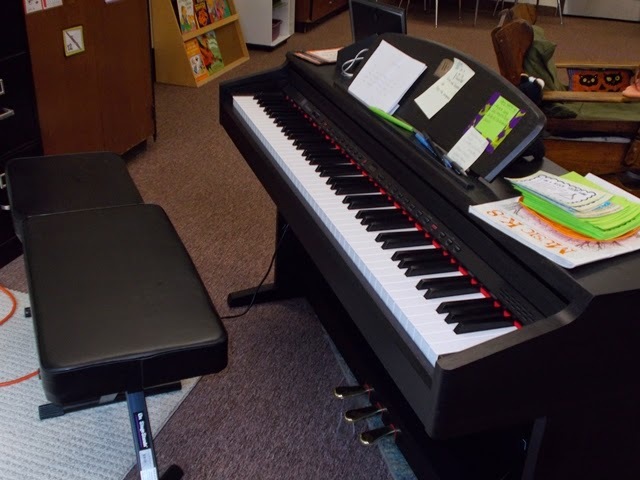 Mrs. Burnett, Myers Elementary School music teacher, received a brand new piano this school year from Donorschoose.org! Thank you to the many donors who made this possible. 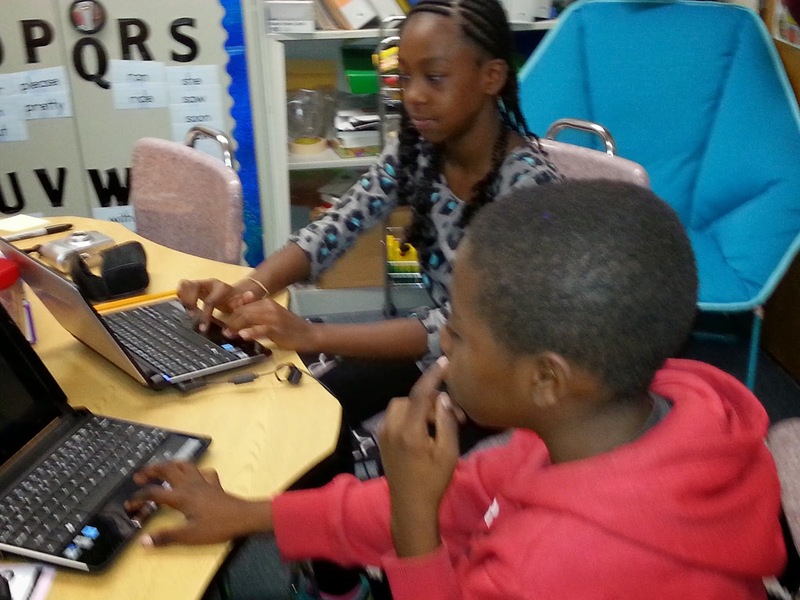 She was able to reach her goal and have her project funded. 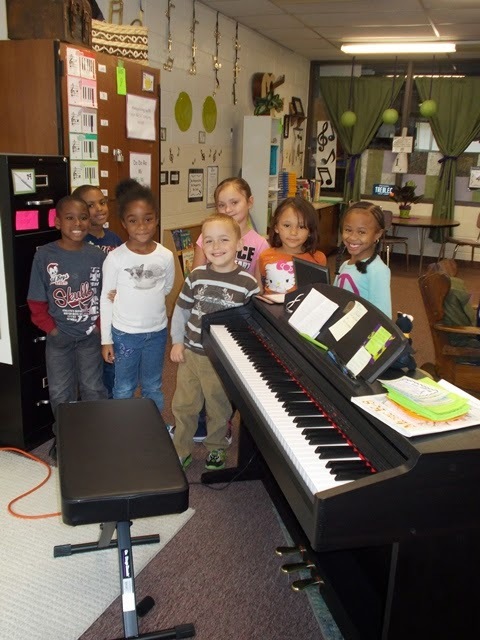 All of the students at Myers were very excited to start school with the new piano in the music room! 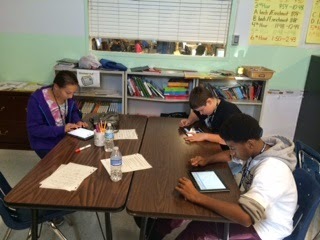 Taylor Parks Elementary School students in Mrs. Fletcher's fourth and fifth grade split class were recently introduced to the iPad. 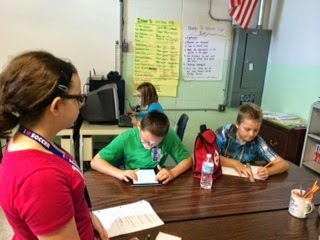 Being the first to test the waters, they took to the iPads with very little trouble. The students’ first effort included the making of their own Lego move. 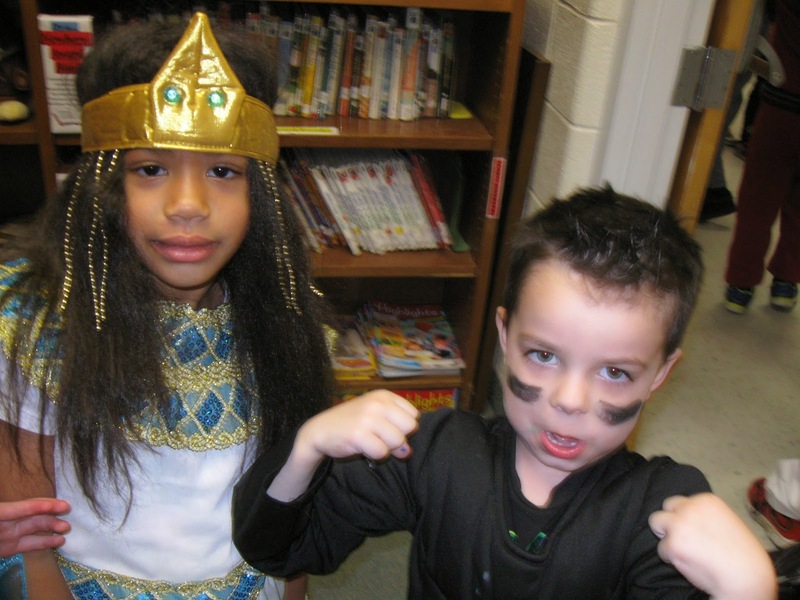 The next project was picture-taking that incorporated the skills of editing, captions and sound. 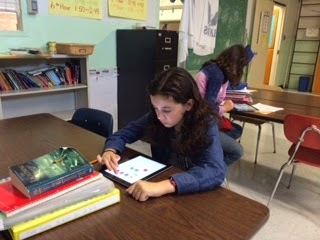 The class agreed that technology is exciting. 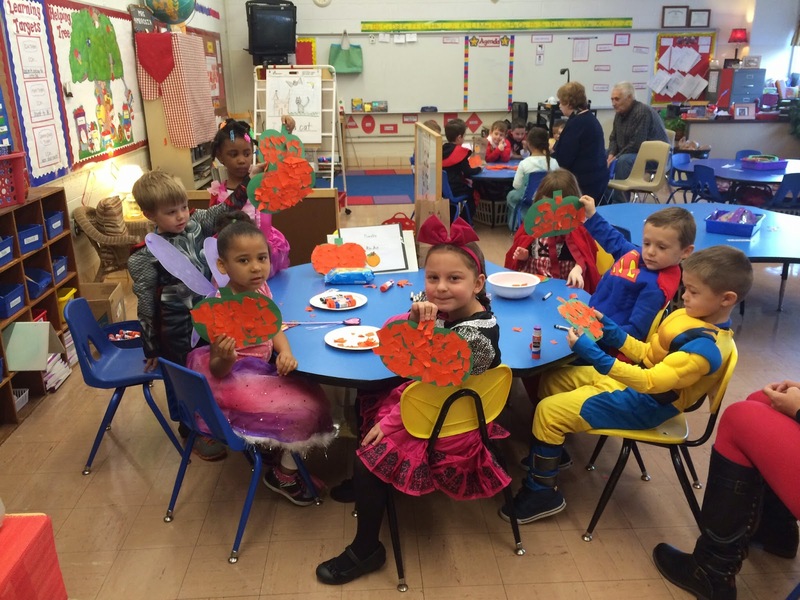 Mrs. Ambrosia's Taylor Parks Elementary School kindergarten has had a weeklong study of pumpkins across the curriculum. 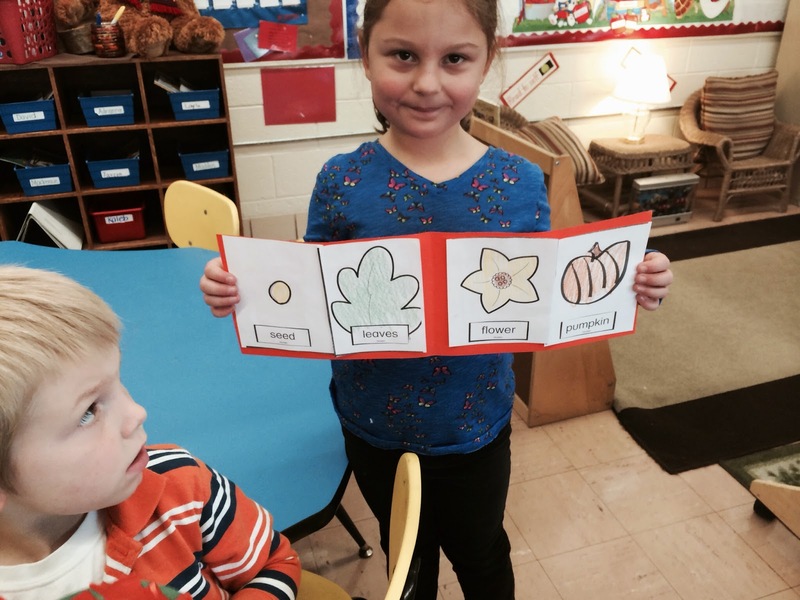 In science, they studied and created their own Pumpkin Life Cycle Poster. 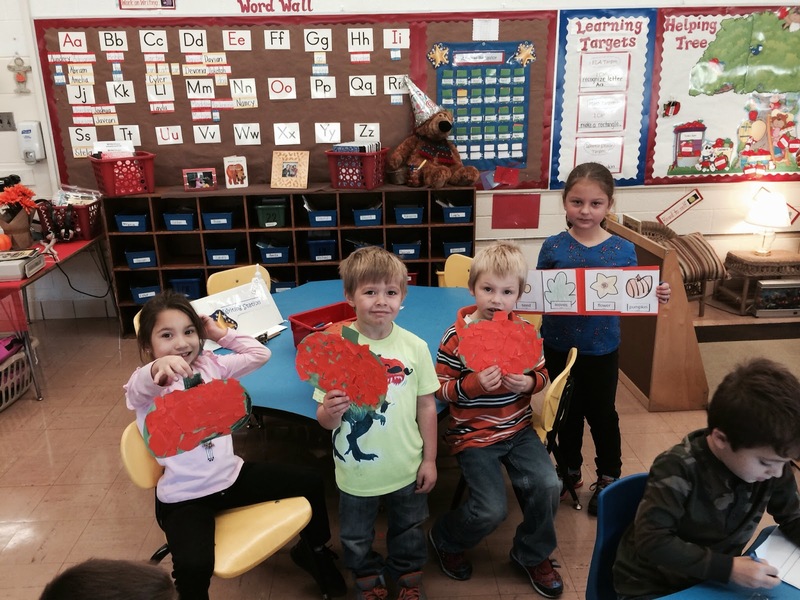 For writing, they chose a pumpkin cutout and wrote one attribute about it. 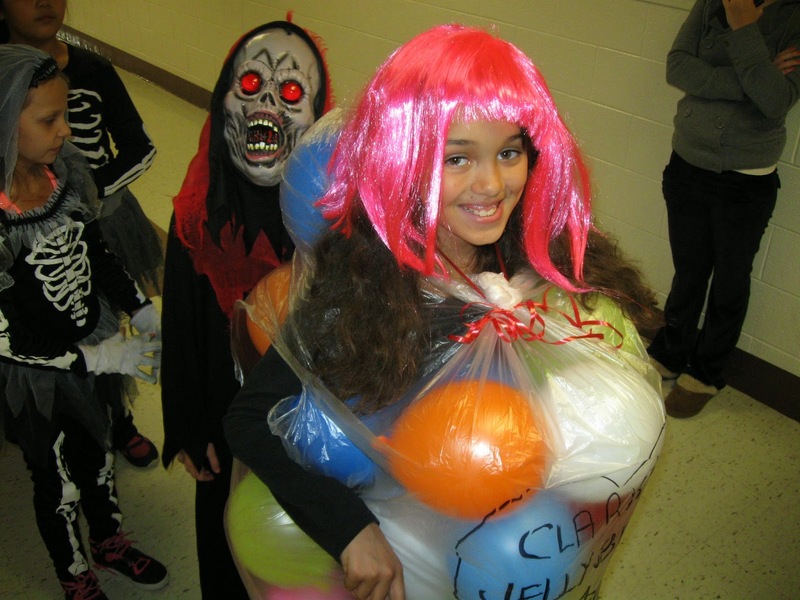 To get their imaginations moving, "Polka-Dottie," the pumpkin came in for a classroom visit. "Polka-Dottie" needed help being measured for a Halloween costume. 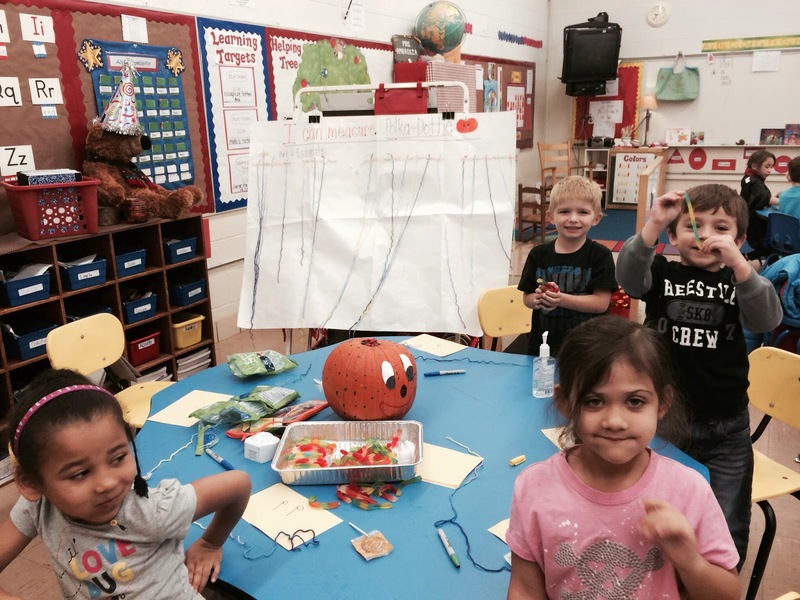 So, with the assistance of fourth-grade teacher, Mrs. Godfrey, the children completed an estimation activity by guessing how long a piece of yarn would need to be to wrap around the pumpkin. 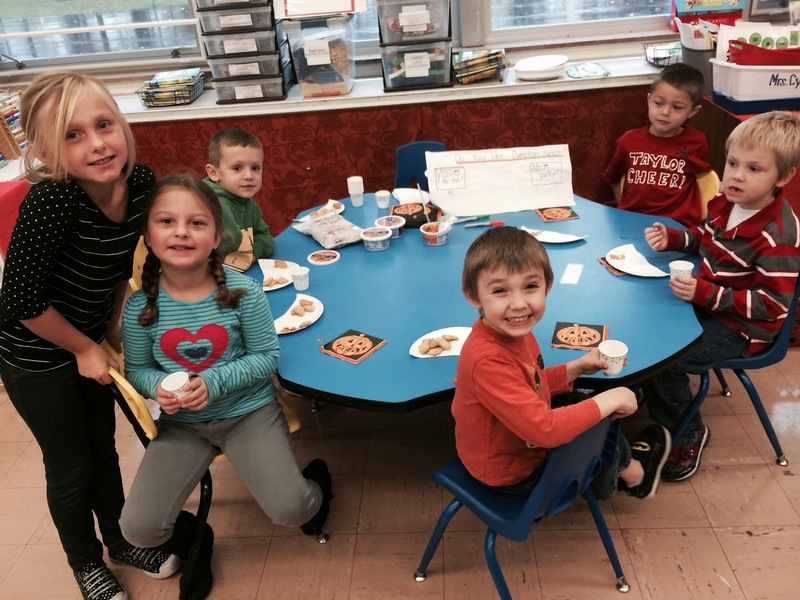 The weeklong pumpkin fun ended with pumpkin centers on Halloween morning! 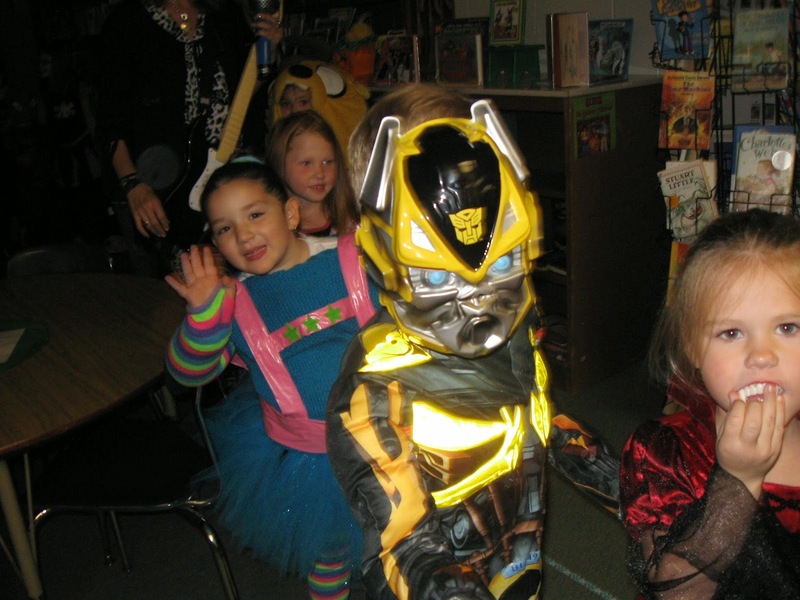 A rainy day didn’t stop the McDowell Elementary School Halloween Parade! 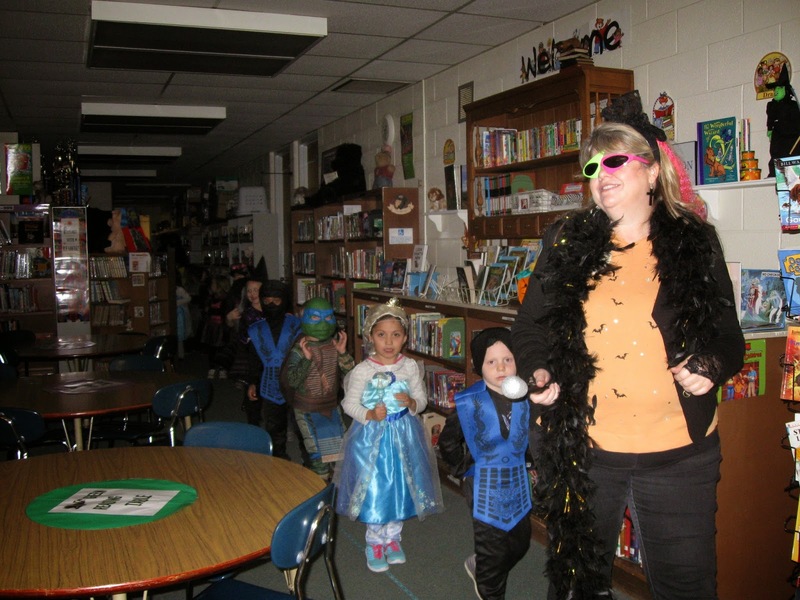 In the lead were Mrs. Doll and her kindergartners as they twisted and turned throughout the building! 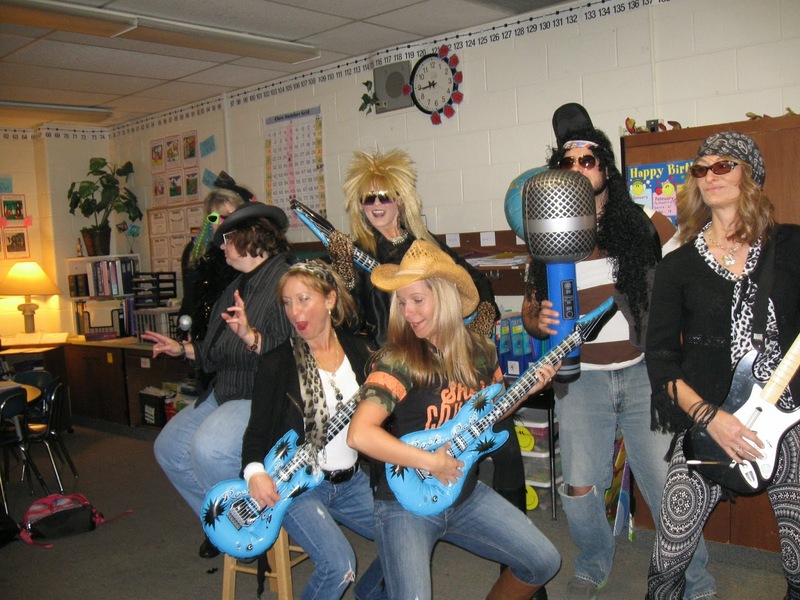 MCDOWELL ELEMENTARY SCHOOL: Teachers rock on! 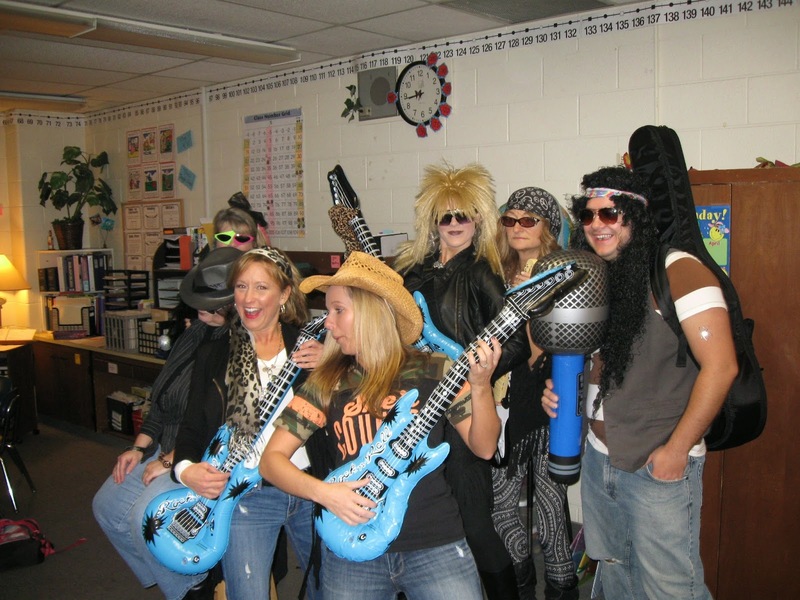 McDowell Elementary School teachers "Rock On" for Halloween! 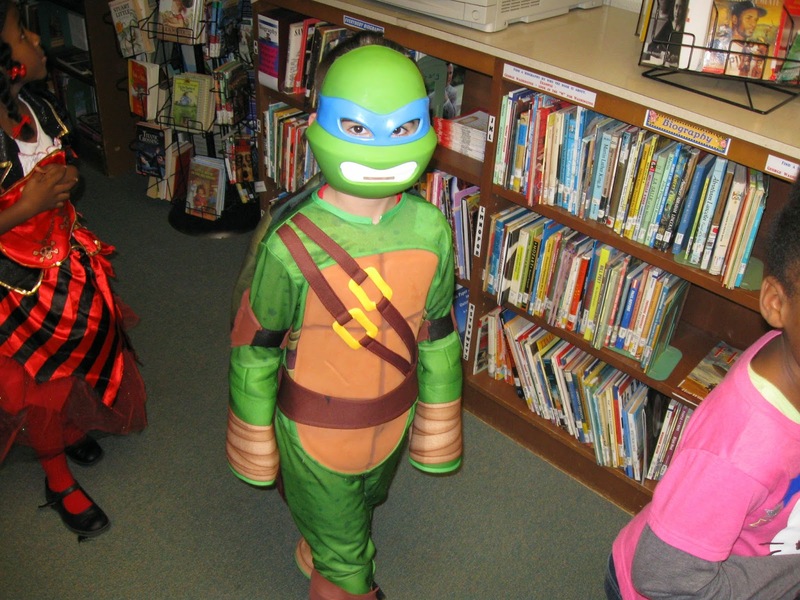 Myers Elementary School hosted a Title I Family Engagement Night on October 30. With math enrichment being the focus of the evening, families were able to rotate between three different stations that included hands on, interactive math games and projects. 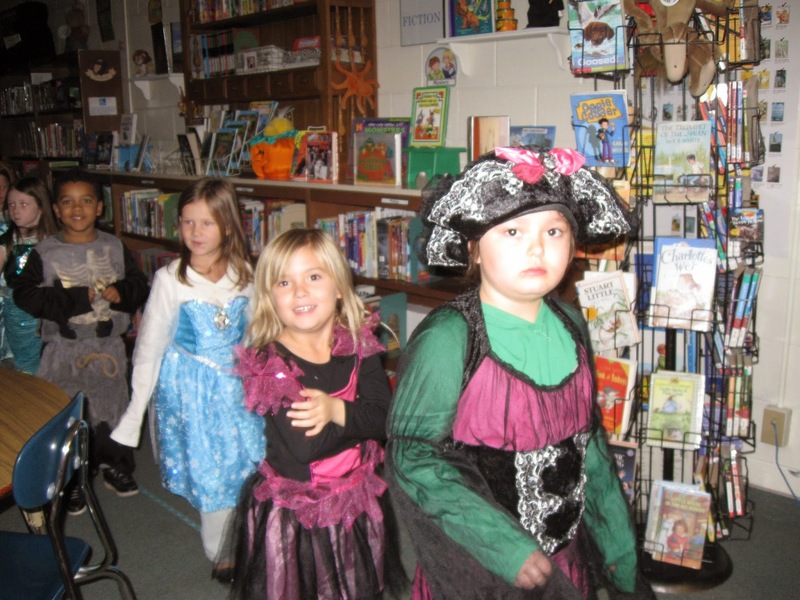 Myers had over 70 parents and students in attendance. Thank you to the Taylor School District team for facilitating this wonderful evening.